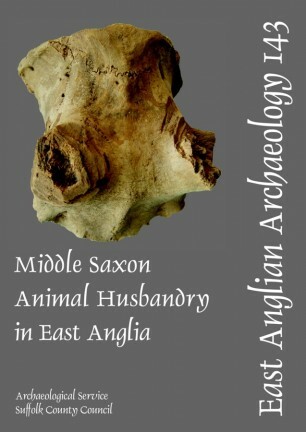 This comparative study of three large Middle Saxon faunal assemblages from eastern England reviews the animal bone remains from the Middle Saxon estate centres of Brandon in western Suffolk and Wicken Bonhunt in north-western Essex, and also those from a number of Middle Saxon sites within the town of Ipswich. At that time Ipswich served as an emporium or ‘wic’, a centre of craft production and regional and international trade. All three sites produced large faunal assemblages that were analysed using standard archaeozoological methods. Individual bones were identified to species and body part; the bones were examined for traces of butchery and pathology; ages at death were determined on the basis of dental eruption and wear and epiphyseal fusion of the long bones; and measurements were recorded when possible. Species ratios, mortality profiles and osteometric data suggest that the inhabitants of Brandon were engaged in specialised wool production. Unlike most other Anglo-Saxon sites, the Middle Saxon features at Wicken Bonhunt produced large numbers of pig bones. 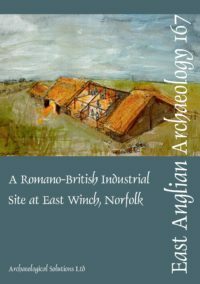 The residents of the site may have been engaged in large-scale pork production, and the limited evidence from the late 6th-to-7th century features at the site suggest that specialised pork production may have begun at the site in the later part of the Early Saxon period. Brandon and Wicken Bonhunt also produced rich assemblages of wild birds, including water birds and waders. The Middle Saxon sites from Ipswich yielded a much less diverse bird assemblage. The inhabitants of Ipswich appear to have been provisioned with beef and mutton from the surrounding countryside, but the ageing data indicate that some pigs may have been raised within the town itself. The results are compared to the faunal assemblages that have been recovered from other Early and Middle Saxon sites in eastern England.